Bras, Shapers, and Hose! What’s really happening? Many ladies have arrived in the office with ill-fitting undergarments. Tight-fitting undergarments, such as bras, shapers, and hosiery actually defeat our best intentions for a healthy body and figure! We have all heard the recommendation, “Breathe!” Optimal breathing is vital to our health for both oxygenation and waste-toxin removal. With tight clothing, the ribs and abdomen are not able to expand properly. This decreases oxygenation and the flow of lymph back into circulation. Oxygen is required for fat to be utilized and “burned-off,” and our lymph is the fluid that removes waste from the tissues. Restraining clothing (shapers) decreases both our quantity of oxygen and the capability to carry it to tissue. The body will actually retain fluid and a layer of fat in response. Snug bra-bands and underwires produce long-term deformities of the ribs. Women frequently have a flare of the ribs just below the bra in the front. The chest wall itself can become compressed and does not expand with the breath. Tight stockings, pantyhose, or elastic socks play a role in the tension and deformity of the foot even if the shoe has reasonable shape. Modern day binding of the feet has occurred! See “A Better Fit” for recommendations in fitting undergarments, camisoles, and hosiery. 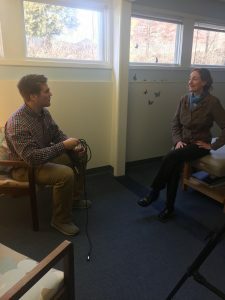 Thank you to Landon Burke of KOMU for the recent interview highlighting osteopathic physicians in pain management solutions. See Dr. Coffman’s interview at the link below! I first saw Dr. Coffman after a horribly bad fall. I hit the back of my head so severely I was having extremely bad migraines daily. It seemed like a miracle that after one very gentle treatment, I saw some improvement. We had to work pretty slowly because my system couldn’t handle very much at a time. Within another four treatments, the migraines were gone for good. I cannot say enough good about my experiences with Dr. Coffman. She is also very caring, compassionate and serenely joyful. Her office and staff are calm and peaceful. I highly recommend her! – Pam S.
“I am so impressed with Dr. Maria Coffman’s work. I had fallen last Friday and even though it was not a bad fall, I was having much pain in entire left leg, jaw, and shoulder. It was even affecting my walk. In just one, very gentle treatment, I feel so much better. My hips were not balanced and many other issues from the fall. I recommend her as excellent. She and her office staff are lovely and welcoming. The office has the feeling of peace and calm and healing.” -Pamela S.
New for 2017 – More Fridays!! Open Fridays, January 27th, February 3rd, 10th, and 17th! We will be open Monday, February 20th – Presidents’ Day! Welcome pre-med shadow, Fariba Pourooshasb! The office is participating in an exciting research project by the National Institutes of Health and ATSU regarding Osteopathic Treatment. Inquire for enrollment. We are collecting patient experiences to display on our website. If you would like to share your osteopathic story, please let us know! Follow Dr. Coffman’s travels and teachings, and check out our health articles and videos! Happy Holidays from the Hands on Health staff!! 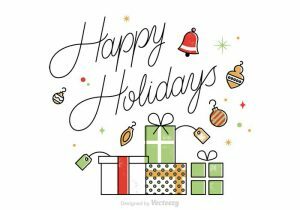 The office will be closed Friday, December 23 and will reopen Thursday, December 29. Online scheduling is available 24/7 or call and leave a message, and we will get back to you as soon as possible. Wishing you many blessings in the new year! 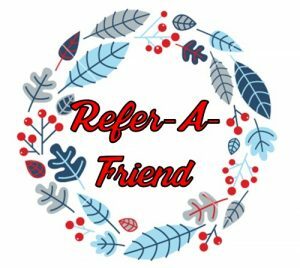 Refer a Friend for the Holidays! Share osteopathic health with a friend this season! Now through the month of December, refer a friend for a New Patient Appointment, and you will both receive 10% off your next appointment! Have your friend call us to schedule their appointment or ask us for more details! Osteopathic Video- Robert Fulford, D.O. hosted by Andrew Weil, M.D. The Lengthening Shadow of Dr. A.T. Still, Arthur Grant Hildreth, D.O.